Not every business owner has the means or desire to hire a business consultant. So what should a business owner do if he needs to understand how his business is performing compared to other businesses? The best place to begin is to research the business analysis tools that are available to business owners, and to choose the ones that are easiest to use, while being most beneficial for the business. 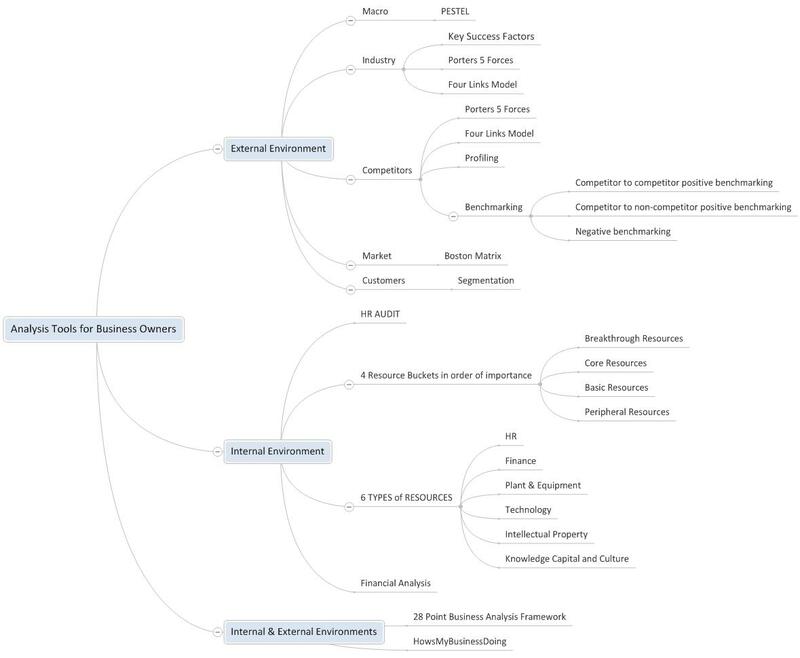 The Mind Map below displays the typical business analysis tools that are often used by business owners, as well as by consultants, when they want to get under the skin of a business. You don’t have to do them all. 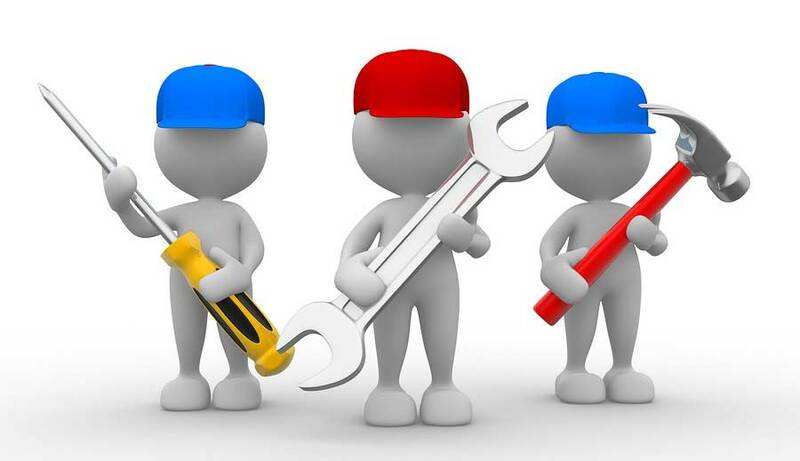 Simply chose the ones that are likely to offer your business the most comprehensive benefits. You need to take time out to work on your business, as opposed to working in your business, if you want to develop a good understanding of both the internal business environment and the external business environment that impacts business performance. Sustainable competitive advantage comes from a clear understanding of what drives your industry and the intensity of competition that exists. The longer version of this article goes into some level of detail about how a business owner can use all of the tools featured in the Mind Map above.